Written by Carson Ting. Posted on June 8, 2017. Filed under Press. Tagged azure magazine, graffiti, powers construciton. 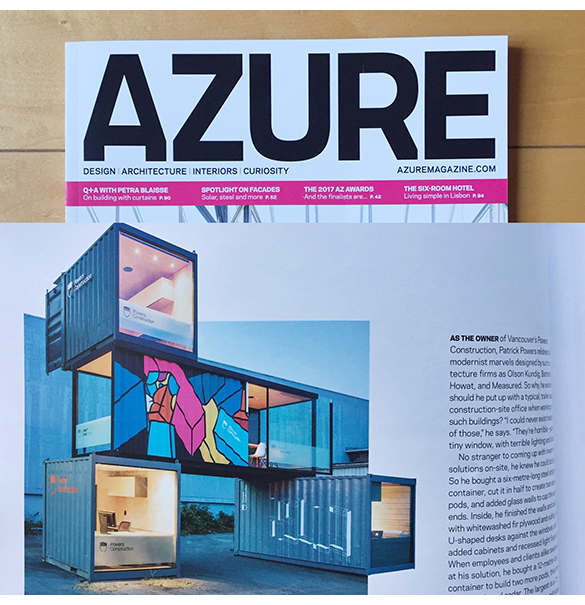 Comments Off on Our Bricks graffiti piece just got featured in AZURE magazine.